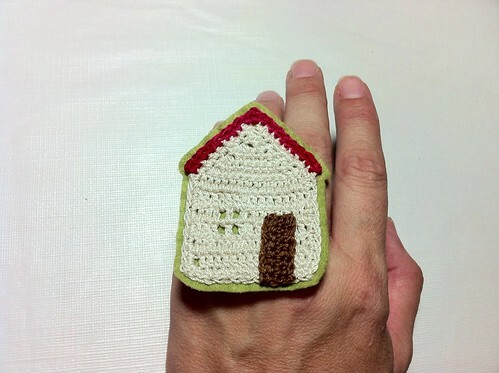 Actually, I've been crocheting little house rings to be more specific. 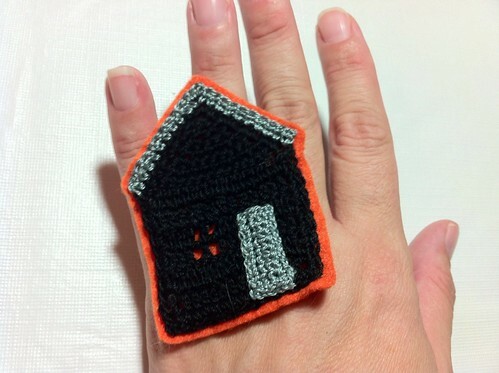 These were my first forays into the hand-held housing market. 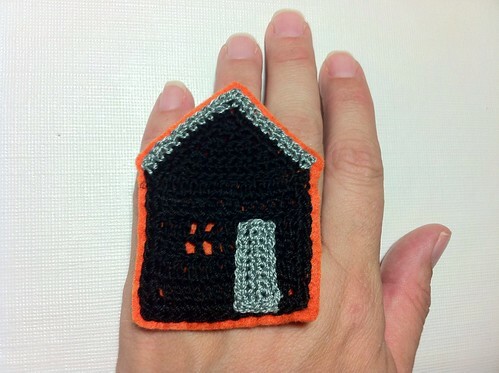 The pattern has definitely evolved and as soon as I finish my own version of the burbs I will share the instructions for these simple and satisfying edifices with you! Want one? Head over here and pick one up! 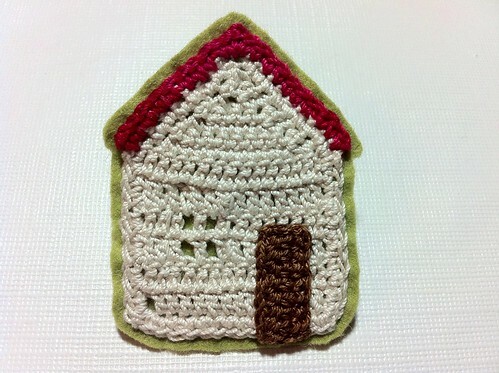 Crocheting and spinning and blogging, oh my!